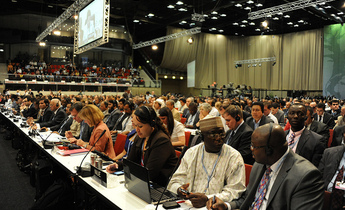 chinadialogue: What do you hope to see from climate talks in Paris? He Jiankun (HJK): All nations are trying to bring about progress now, and China’s efforts are obvious. 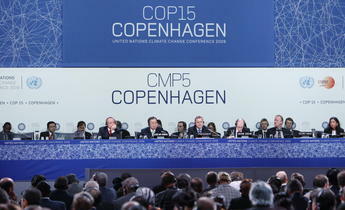 We’ve established consensus by issuing joint statements on climate change with the US, the EU, India, Brazil and France. China’s role here is unique, as it has made joint statements with the major economies of both the developed and developing world. That consensus provides the basis for a successful outcome in Paris - the language from the joint statements may well provide the text for an agreement in Paris. There are also disagreements between developed and developing nations, particularly on financial and technical support. In all joint statements China has emphasised the principles of fairness, of “common but differentiated responsibilities”, and respective capabilities. And although these principles are generally accepted, each country has its own differing interpretation of what they mean. International climate change policy needs to achieve two things. First, future international mechanisms must promote sustainable development for every country. Only when sustainable development and responding to climate change are combined will countries themselves want to take action. 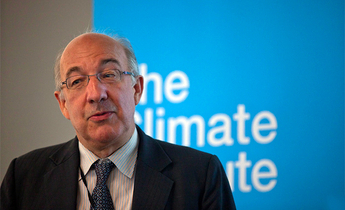 It is unrealistic to set emissions targets and ignore national development needs. This is particularly the case for developing nations which need to grow, to reduce poverty, to improve the lives of their citizens. Also, international cooperation must ensure everyone benefits. It would be unsustainable for some nations to benefit while others lose out. Developed nations must accept their due responsibilities: in particular, providing support for climate change adaptation in the poorest nations. Developed nations have a historical responsibility to provide financial and technical support to the developing world, a process which will provide them with a new opportunity for economic growth. If international climate change mechanisms are to succeed they must use cooperation to provide everyone with opportunities for development. Responding to climate change means humanity must manage climate risk, protect the Earth's ecology, and achieve sustainable development. I think progress is being made currently, and I am very optimistic. CD: What changes have there been in China’s negotiating stance since Copenhagen? HJK: China’s stance has been consistent. One, move the negotiating process forward; two, express the difference between developed and developing nations – on fairness, common but differentiated responsibilities, and respective capabilities. At Copenhagen both the US and EU were putting pressure on China. They were pressuring other countries to accept over-ambitious targets, and that’s not a realistic approach. In Paris we’re talking about a more bottom-up system, with nations themselves decided what contributions to make, with international society then reviewing those plans regularly and encouraging improvements, in order to achieve our climate goals. As international circumstances have developed, in particular after the Copenhagen talks, everyone is more concerned about finding and expanding consensus, and sees responding to climate change and low-carbon transitions as a route to development. So there’s a new trend towards cooperation and that means changes in the aims and methods of negotiation. That’s beneficial both for resolving the climate crisis and for national development – and it’s not about putting pressure on from above. But China’s positive attitude towards dealing with climate change has not changed. In 2012 China proposed building an ecological civilisation, which made a faster economic transition ever more important. Adjusting the energy mix and doing more to save energy both reduce emissions and help build that ecological civilisation. 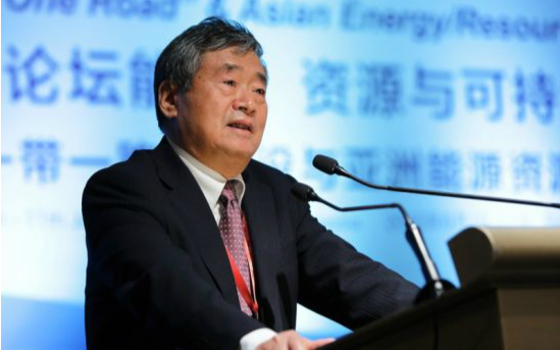 CD: From long-term 2030 goals to the upcoming 13th Five Year Plan: what can you tell us about China’s route to low-carbon development? HJK: In the long-term China will take a low-carbon development pathway, which means using technology to conserve energy, developing non-fossil sources of fuel, and improving the energy mix. It also means we have to change how we grow. Developed nations took a high-carbon path, based on fossil fuels. But a developing nation like China cannot do that. There are new issues and challenges China is facing under “new normal” now, such as how to use innovation to drive low-carbon development. We need to escape the middle-income trap and ensure sustainable social and economic growth, but do this in a green and low-carbon way. What policy methods will realise this? In the past we focused on researching why we should do this. Now the question is how? How to start? This is particularly important for China just now. China submitted its Intended Nationally Determined Contribution (INDC) earlier this year, especially raised CO2 emissions peaking around 2030. This is an ambitious emission reduction targets, which should be used to guide domestic economic growth and transition, with innovation driving that process. We need a win-win situation, both responding to climate change and promoting economic growth. The 13th Five Year Plan (FYP) aims, given the economy’s “new normal” of slower growth, to encourage a change in the mode of economic growth and strengthen the building of an ecological civilisation. This is at one with the aim of responding to climate change. I think the 13th FYP will help us implement our climate change strategy. 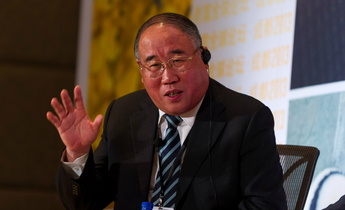 Wang Yamin is team leader of chinadialogue's strategic climate communications initiative.